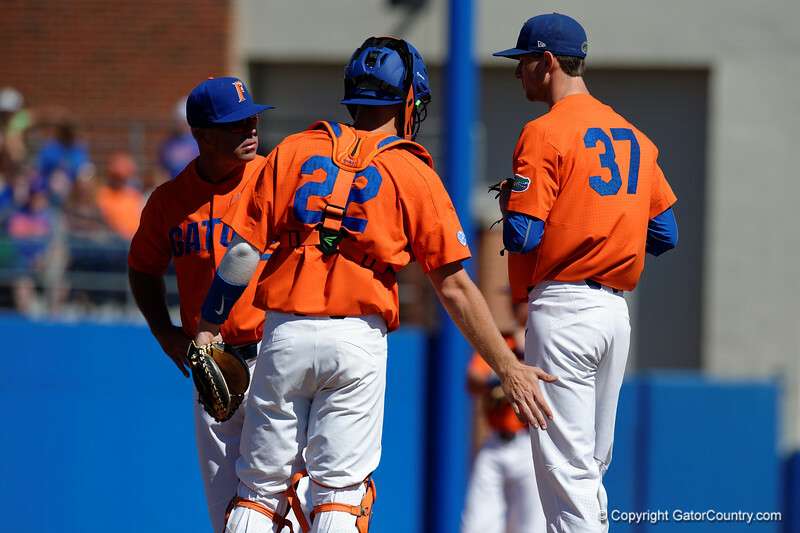 University of Florida Gators baseball head coach Kevin O'Sullivan comes out to calm down University of Florida Gators pitcher Jackson Kowar as the Gators sweep the series over the University of Miami Hurricanes with a 6-2 win at McKethan Stadium. February 26th, 2017. Gator Country photo by David Bowie.